A tourist approached me on the weekend and asked why everyone was wearing silly hats. I encouraged him to join in the fun of the weekend. Why else would you be in London? Sustainable fishing and farming was promoted on Southwark Bridge on Saturday. Best fish and chips I've had since I've lived in London. 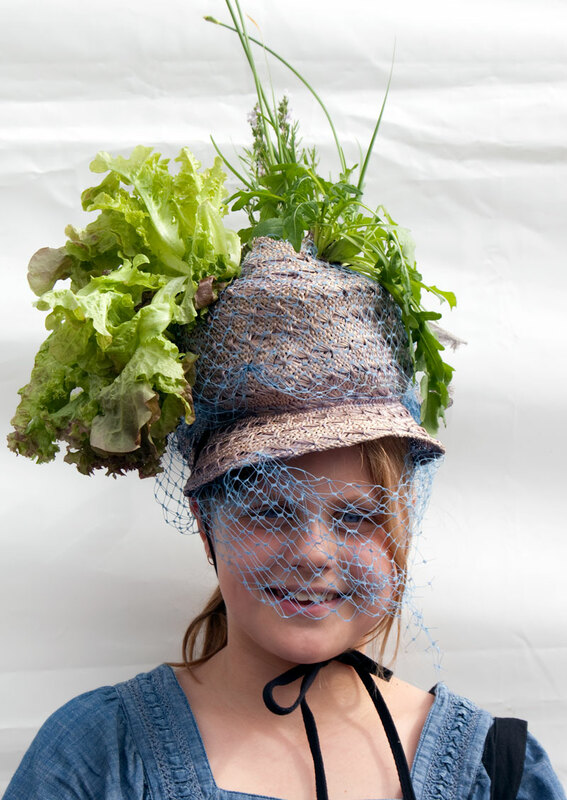 Finished off with a leaf or two from this girl's hat. I love that hat - perfect for a quick snack on days out. Different way to grow your own! And healthy too by the looks of this bonny wee lass. A yummy hat, love it! How fun! Love that hat! And that is indeed a very silly hat, at least if she gets hungry she can have bite to eat. What a great title for this cool portrait. Mo, I can honestly say that I do NOT have a hat just like that one! Very useful hat! Your lunchtime sandwiches would always be fresh. No wilted lettuce leaves for her. Brilliant title Mo, it's not easy being green, or perhaps it is! !